What more could you ask for? Turnips are all over the place this time of year and we have not used them since our Sweet Potato and Turnip Mash with Sage Butter back in May of this year. When selecting turnips you want the smaller, colorful root vegetable. 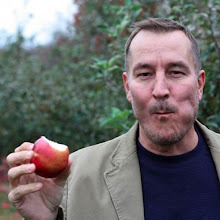 Larger ones tend to be tougher and develop a stronger flavor. When you purchase your turnips they may have the greens attached and you can absolutely wash and cook those up as you would other greens. 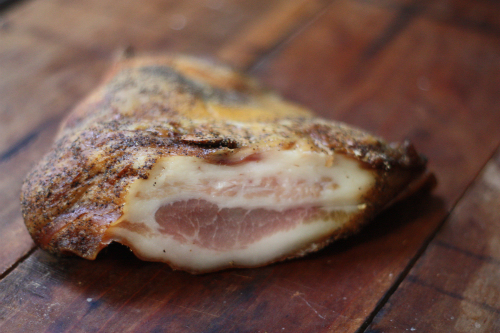 For this recipe I thinly sliced some fresh smoked hog jowl (you can use straight bacon) and slowly cooked these pieces in a cast iron pan until crispy and the fat had rendered out. Remove the bacon from the pan and set aside. 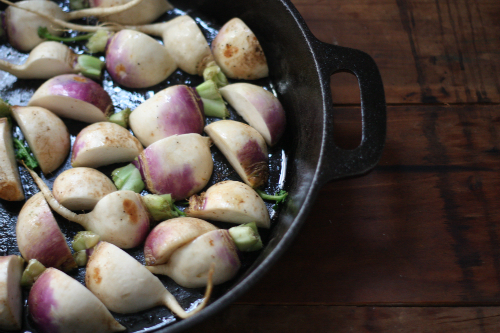 Take your washed and dried turnips that you have quartered — simply add them to the pan and slowly braise them, turning frequently. Add the bacon back to the pan and heat. Right before serving I take a handful of scallion greens and toss in the pan. 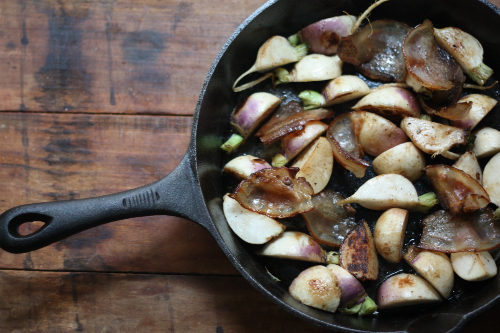 There are many ways to prepare turnips and this is one of my favorites — I mean what could be wrong with anything cooked in pork fat? I remember my grandfather bringing turnips in from the garden, washing them and eating them just like an apple! 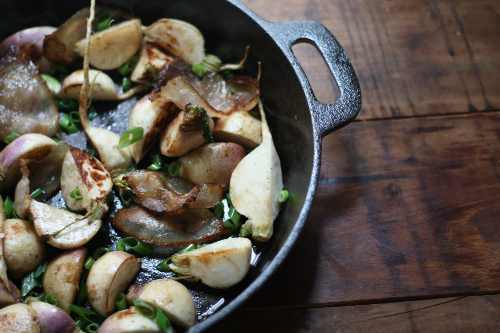 Do you have a favorite way to prepare turnips? They are everywhere right now! My mouth is watering at your delicious recipe. If I find them with the greens I'll definitely cook them up. I'm wondering what they taste like...perhaps peppery like radish greens? Thanks for sharing! Nancy, yes quite peppery! Just added you to my reader beautiful site you have! Thanks for stopping by and feel free to stop in often! Cheers!